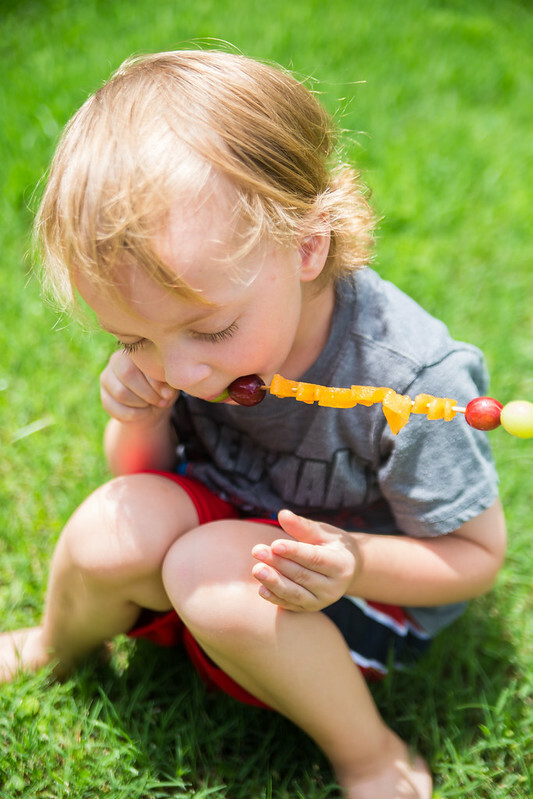 Summer is in full force at our house, with days spent outside at the pool, splash pad, or park. 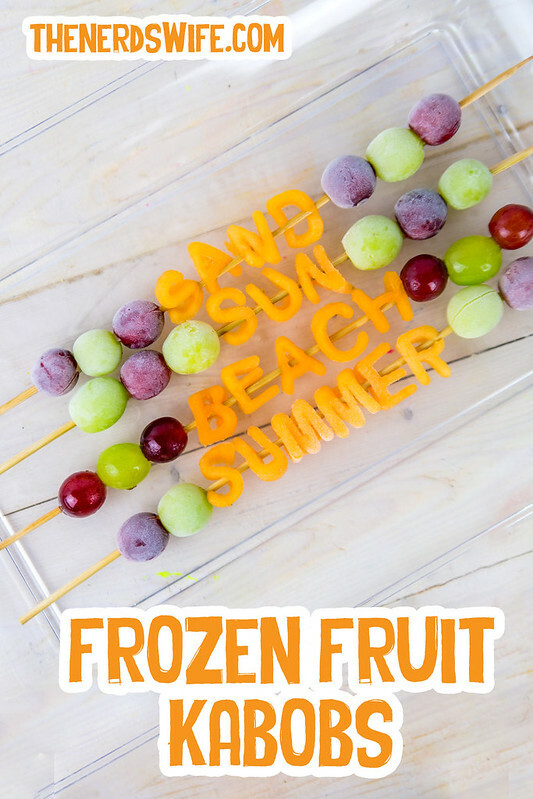 A great summer snack is a must when spending a lot of time outdoors, and these Frozen Fruit Kabobs have quickly become a favorite. The best part is that they’re easy to make, and you can add a fun message to them! 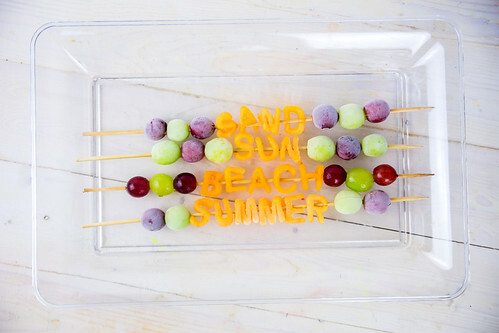 Cut out letters from the melon and string them onto a skewer. Add grapes to the ends and place in the freezer for a few hours. They are so refreshing when it’s hot out! 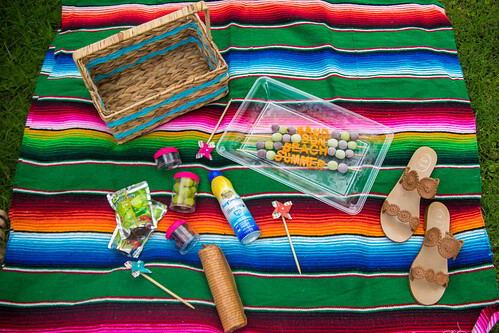 So grab a blanket, some kabobs, and, of course, sunscreen and head outside for a fun summer picnic! In addition to a great snack, sunscreen is a MUST for us anytime we head outside. 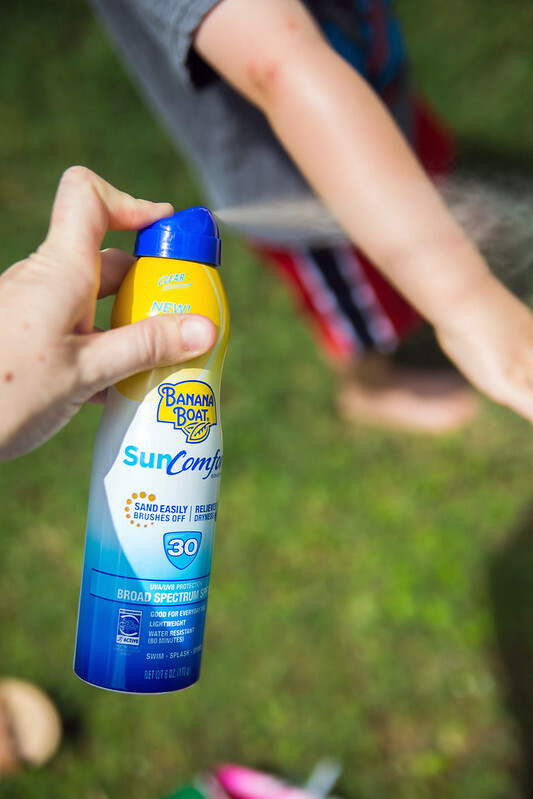 We recently discovered Banana Boat® SunComfort™ Clear UltraMist® Sunscreen, a unique sunscreen that moisturizes while making sure your family stays protected. Available in SPF 30 and 50+, this spray sunscreen moisturized dry skin that is inevitable when you’re dealing with sun, chlorine or salt water. It’s water-resistant up to 80 minutes, and provides broad spectrum UVA and UVB protection. With sun protection taken care of, feel free to do all the fun things you want to do with your families without worry, thanks to Banana Boat! Tip: You can even cut out children’s names if you’re having a play date or summer party! 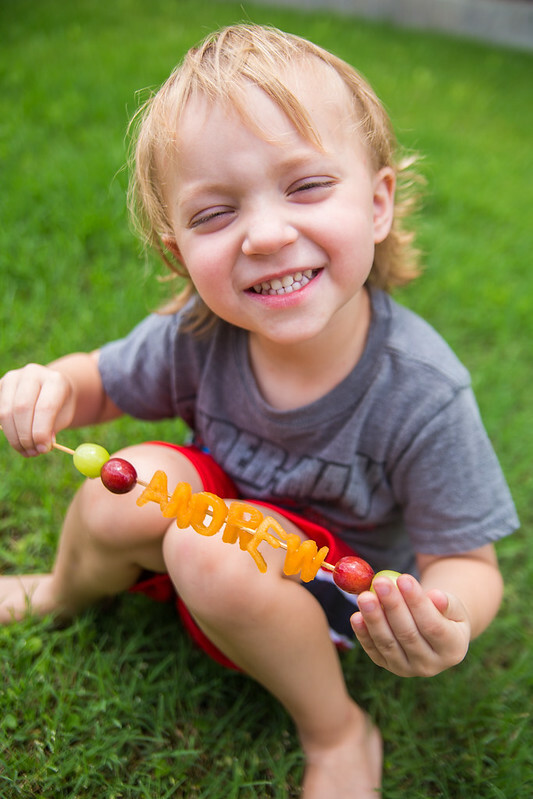 Andrew loved his Frozen Fruit Kabobs! I can’t wait to make them for our next beach trip. 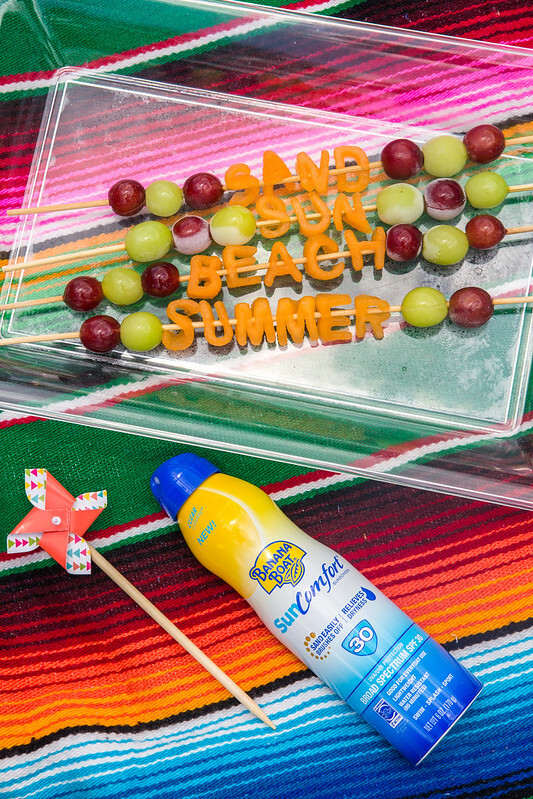 We’ll definitely be bringing the Banana Boat® SunComfort™ Clear UltraMist® Sunscreen along to wipe the sand away. What do you pack in your picnic basket?